One of the things I like most about Cisco is his references to movies, playful attitude in serious situations, and awkward funny moments. We lost it earlier this season when his character was not in the right head space, but slowly he's coming back to us. In the recent episode, Dead or Alive, guest starring Jessica Camacho as Gypsy, Cisco's words were on FIRE! It was obvious Cisco was crushing on Gypsy, and she had her eyes on him too. Bette: Do you know any others that were changed? Cisco: But no one that looks like you! (Barry gawks) I’m sorry, that was inappropriate! Please don’t leave. Caitlyn: I know how to perform a lobotomy. Luckily, Bette was not put off by Cisco's comment and worked with Team Flash for a while until her unfortunate short ending. Lisa: Hi, I don’t normally do this but I was watching you and… Can I buy you a drink? Lisa: Actually I was talking to him (Cisco). Cisco: Um, I- I’m sorry. You said you were talking to me? Lisa: Yeah, I just told my friends over there that I thought you were cute and they dared me to come over here and talk to you, so please talk to me! 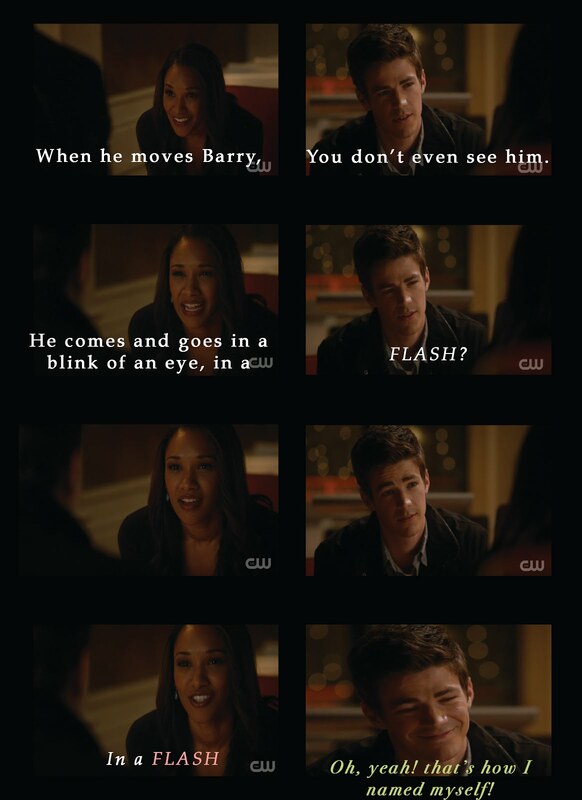 Barry: Yeah, I was just leaving. (To Cisco) Make me proud. This was such a fun scene, but really Cisco didn't meet the real Lisa Snart until later... When she returns later in the series, the exchange is just as fun! Cisco: Oh, Hey Captain Cold’s evil sister. Lisa: Oh, you’re not still mad at me, are you? I really did enjoy kissing you. Cisco: Under duress. Calm down. Lisa: Well, I, I’ve thought a lot about you. Cisco: Have you really? … Well Stop because THIS, right here, it ain’t gonna happen! Lisa: A girl can hope. 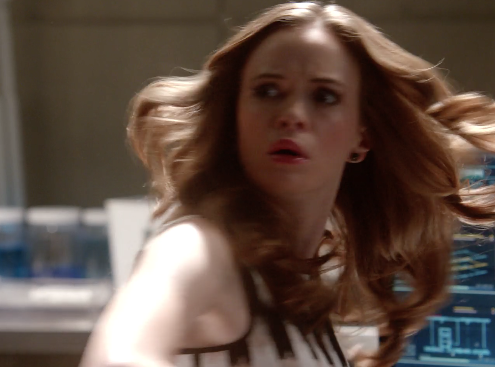 Can we just say Caitlin's hair looks fantastic! 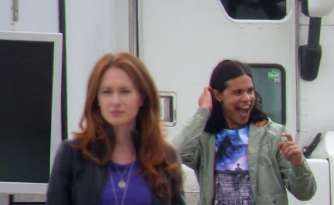 There are many more scenes with Lisa and Cisco that always makes me giggle. They have great chemistry on set! 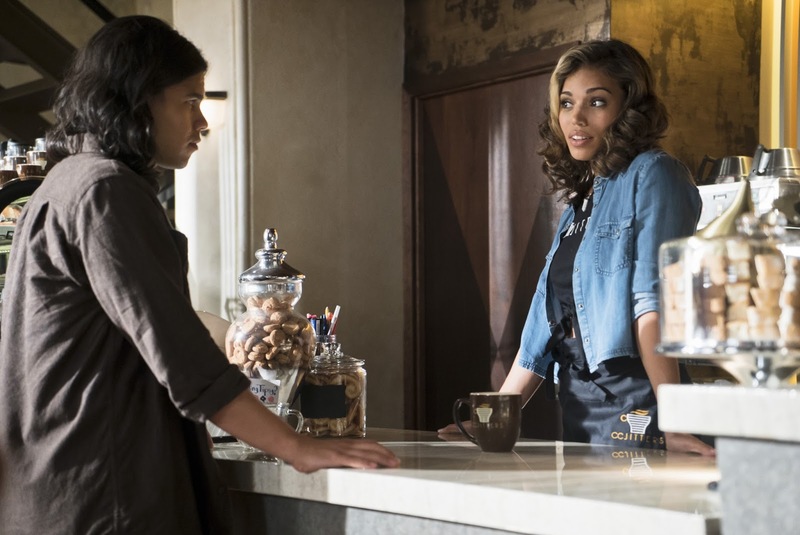 In the short time, Kendra Saunders was on The Flash it felt like a set up to the crossover and her eventual leap into Legends. Kendra and Cisco didn't meld so well together for me, but that didn't mean there wasn't a few good moments. Kendra: Hi, What can I get ya? Kendra: Do you want some coffee? Cisco: Yeah, I’ll get some coffee. N- no, I don’t want coffee. You know what I do want, though. I wanna ask you this: Do you wanna go out with me? Their initial meeting was good, funny, and sad, but as the old saying goes: If at first you don't succeed... Let the girl come to you... Right? Gypsy was a whole different level of crushing for Cisco. He was strong, brave, kind, and funny. It was on the level of: I'm not gonna let you mess with my friends, but Damn Girl! You Hot! The chemistry between these two were spot on! Congrats on casting! Cisco: Slow down there. Let’s just talk about this, like two adults… over coffee, or maybe dinner if you prefer that. There’s a great thai place up the road, if you like thai. I’m Cisco by the way, you must be Gypsy. It’s nice to meet you. What a fantastic opening line, and I think he hooked her. The whole episode was a banter between Cisco and Gypsy, and I think she only dealt with Team Flash as long as she did was because she liked Cisco too. I really hope we get to see more of her! but man he's got quite the mouth full. What did you guys think of Cisco and Gypsy? Have you ever used some of these lines before?